Now you can complete a Spirit-Filled Doctor of Theological Studies degree program through distance learning (online studies). The Doctor of Theological Studies Program requires at least a 30 SCH Masters degree in theological studies, biblical studies or similar field. The doctoral programs at Biblical Life College and Seminary are designed after the Hebraic model of research and the development of a dissertation. The student is encouraged to choose a subject that either reflects his main mission in the Body of Christ or where the Holy Spirit is releasing a new passion for discovery. As a part of Biblical Life College and Seminary's Spirit-filled doctoral programs, we encourage our students to use the conversational style of writing in the development of their dissertation. The secondary goal of our doctoral programs is to have our students produce works that are publishable. The dissertation will not only result in a student graduating, it will produce a viable work that will inspire and instruct the Body of Christ. Program Prerequisite: Master of Theological Studies or thirty (30) semester credit hour Master’s degree in religious subject. Student Loan Program: $100.00 down with enrollment and $130.57 a month for 28 months. This student is to submit a subject that he has chosen to complete his research on this doctoral project. 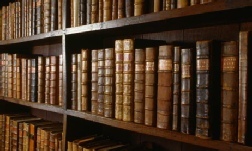 Once the subject is approved, he is to research a minimum of 20 books dealing with some aspect of the subject. He is then to write a report on each of the books to submit to his Doctoral Project Advisor. The student is to submit a proposal for his research dissertation, to include its purpose and complete outline. Once approved, the student may proceed with his dissertation. The student may choose to send a draft of his dissertation before submitting the final copy for evaluation. The draft will be reviewed by his Doctoral Project Advisor and any changes or suggestions will be forwarded to him so finalization of the work can be completed. The completed dissertation of 50,000 words or more in length is to be submitted to the Seminary for consideration. A Doctoral Dissertation Review Committee will be assigned to the student for this program. He is to submit a copy for each member. Once the dissertation has been accepted, the student is to have it hard bound for the Seminary library. As a defense for his dissertation, the student may choose to either make arrangements to sit for a verbal defense of his work before the Doctoral Dissertation Review Committee or to audio tape a series of lectures in which he teaches, chapter by chapter, through his dissertation. If the student chooses to make a verbal defense, he must make arrangements with the Seminary to meet with at least three (3) members of the committee. A normal verbal defense will last from three to six hours. Once all research has been completed, with the dissertation and defense accepted by the committee, the Doctor of Theological Studies degree will be conferred by the Seminary. “As a seminary that specializes in distance learning and education BLCS can be proud of its quality of education, its standards for study, and its educational philosophy. As one who has an undergraduate and masters degree in Christian Education from regionally accredited schools, I was drawn to the fact that BLCS had given thought to its educational dynamic and philosophy in a non-traditional setting. I appreciated its ongoing love for the Hebraic studies and the Christian’s Old Testament roots which are so neglected in many circles today. I saw in the school a love and honor for the full and complete counselor and Word of God. And, BLCS permitted me the opportunity of continuing my studies over a long term (6 years in my case) so that the material could be explored with my congregation, dissected with a council of godly men every week, and applicable to my local and international ministry and work. Through its strong standards and yet flexible style, BLCS’s doctoral program has and will continue to make an everlasting impact on this world and upon the cultures of this world. Pastor Mark E. Struck, D.T.S., Rochester, MN. The premier online Spirit-Filled Theological Seminary.